Two iconic legends of Rock grace Sunset Boulevard this month, infamous guitarist, Slash, and the 'Prince of Darkness' himself, Ozzy Osbourne (and his wife Sharon). 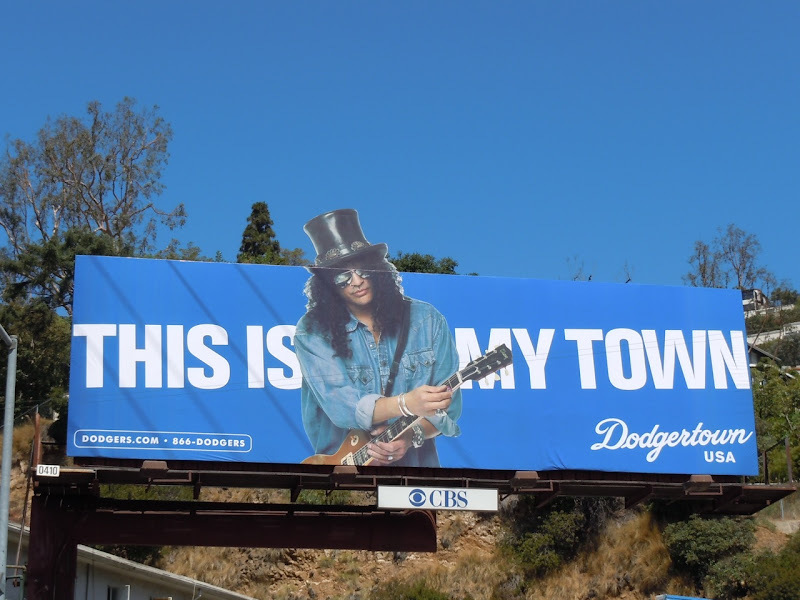 It's clever that the L.A. Dodgers placed these billboards along The Sunset Strip to coincide with the third annual Music Festival held there which starts August 26-28, 2010. If you like rock music be sure to check out the guitar sculptures of GuitarTown along The Sunset Strip. If you're a fan of Sharon Osbourne be sure to check out pictures of her as the Grand Marshal of L.A.'s 40th Annual Gay Pride 2010, with her daughter Kelly. 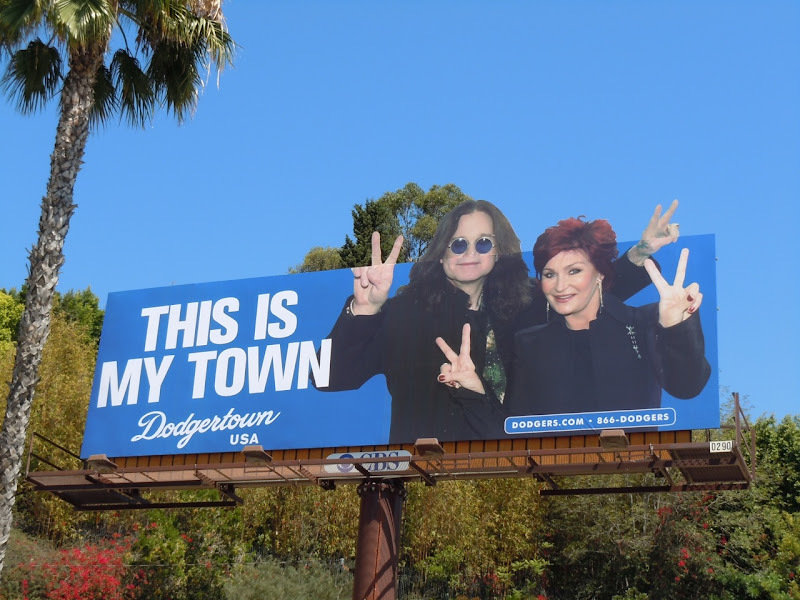 Both billboards from L.A. Dodgers 'This is My Town' campaign were photographed on August 13, 2010.